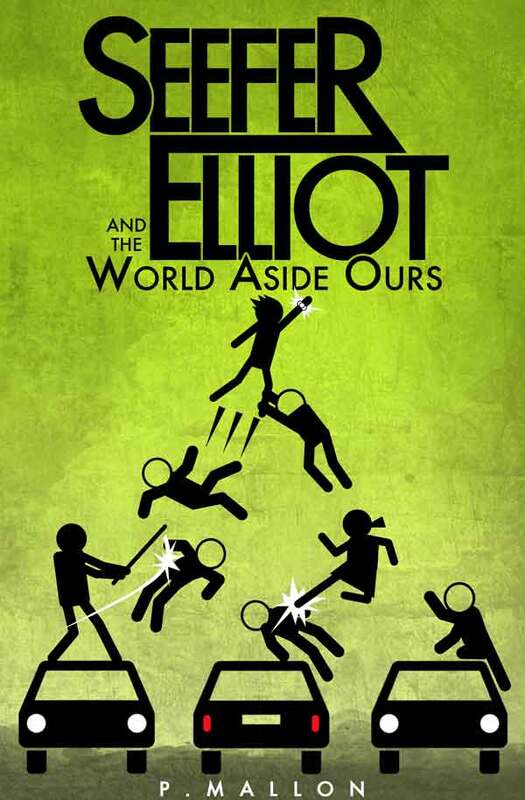 I felt very accomplished when I published my first book, Seefer Elliot and the World Aside Ours. I had fun writing and promoting that first attempt to become a novelist. Soon after the dust settled, I realized I had to get back to the drawing board (computer) and start the follow-up. After a year of outlining, editing, re-writing, editing again, marketing and promoting, I am happy to announce that Seefer Elliot and the Darkness Within is now available everywhere. Thank you to all of those who have supported me along the way! On May 6th, I will be releasing Seefer Elliot and the Darkness Within. The sequel to The World Aside Ours has been the labor of love over the last year. When I published my first book last January, I felt very satisfied with the effort. I wrote the book with little plans to expand on the small universe I built. As time went by, ideas kept popping into my head for further adventures of the boy that would save the world. Thus, my hunger to pick up the pen continued. 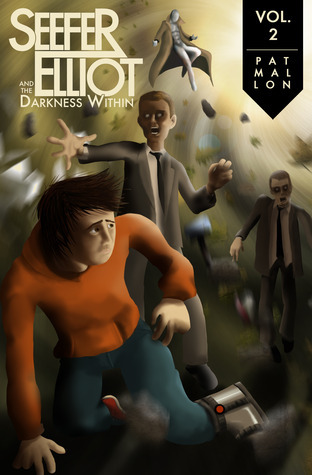 The Darkness Within follows Seefer Elliot during the months following the alien attack on his school. 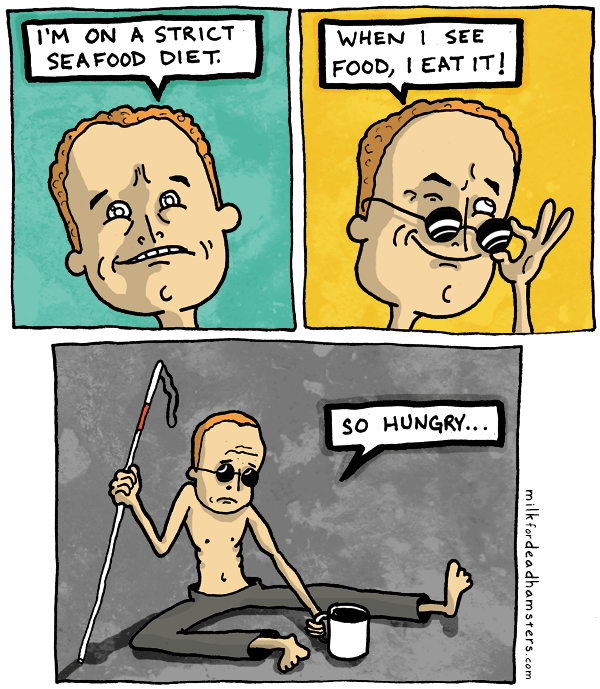 Investigators are suspicious of Seefer as reports of his powers and feats begin to build. Meanwhile, a new threat hunts the boy the Omegans call "Cepheus." I am very excited to show off the book trailer for this second edition. 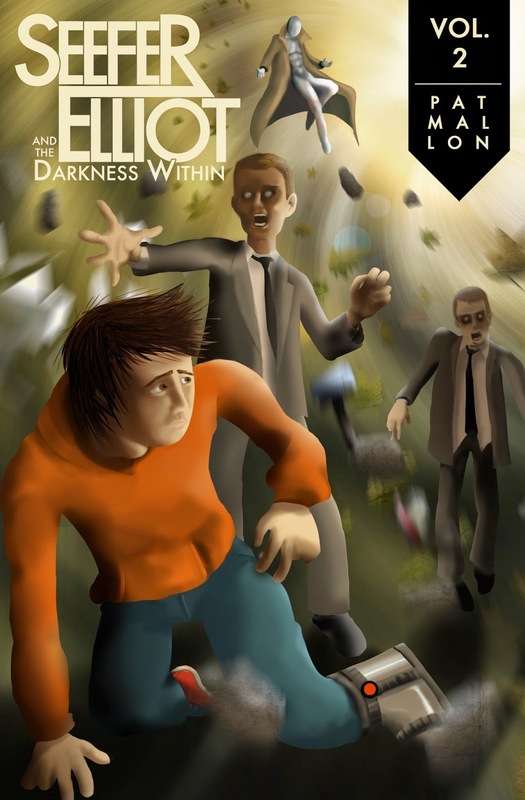 Please check it out and consider picking up a copy of The Darkness Within on May 6th. With the release of Seefer Elliot #2 fastly approaching, it was time to bring the first book’s cover in line with the new cover format. The digital painting illustration is more in line with many middle-grade novels. I liked the old look, but I can see how it would have come off as slightly young for readers who are trying to identify with older material. If you have children, you may have heard of the movie, "Frozen." It is wildly popular, and for good reason. It's terrific. My girls are obsessed having seen the movie a bunch of times, listening to the soundtrack and playing with the toys. Frozen is a phenomenon. Among the Frozen swag we have around the house are a few illustrated picture books. I have admired the technical ability of the artists that Disney employs. Since I am attempting to learn similar techniques, I thought I'd give replicating one of the images a go. What do you think? 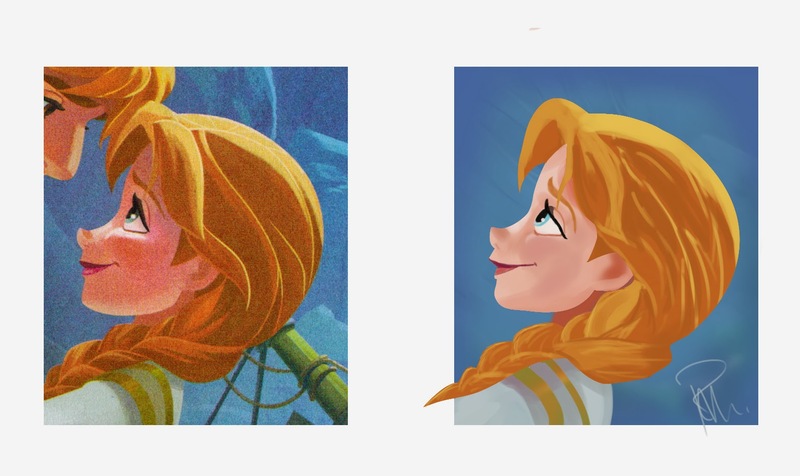 Credit: Picture on left is from book, "Anna's Best Friends" by Christy Webster (illustrated by Disney Storyboard Artists). I'm a far way away from making my own illustrations come to life, but trying to duplicate images from a book has helped me with the technique.